American Pyramid - On the Great Seal of the United States is the All Seeing Eye of God or is it Satan's? On the Great Seal of the United States is the All Seeing Eye of God or is it Satan's? Another clue...The only true "cornerstone" of a building can be the "capstone" of a pyramid. Why? Because the pyramid is the only structure that can have all sides connect to one corner. Certainly you know that Jesus Christ is referred to the "Cornerstone" of the church. "The cornerstone the builders rejected." The connection? The USA is the country God promised would be formed by the Lost Tribes Of Israel known as the 13th tribes. (This is also why the great seal is full of the number 13. And why David's Star is also built into the seal.) For a great beginners study of this truth I recommend the book below. For a study of the Masonic and occult representations in The Great Seal of America we've found a 3 part very comprehensive documentary (at right ---->), that has a chilling final conclusion. We recommend watching them in full screen mode. Why is there a pyramid on "The Great Seal Of The United States"? As far as I know there are not any pyramids in the United States of America. So why a depiction of the Great Pyramid of Giza? The largest pyramid ever built, and without a capstone on top. What is the connection? Most will blame the Masonic influence. But the reality is found in the Bible. 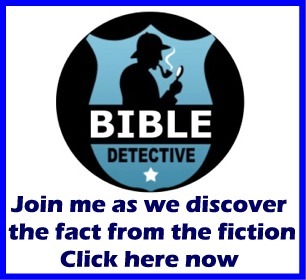 Solve the riddle given in Isaiah 19:19 for the first clue. The Giza pyramid has the entire Biblical history (past, present, and future) mathematically encoded in its outer and inner (the only pyramid with passages and chambers inside it) dimensions. The all-seeing eye was a well-known classical symbol of the Renaissance. The eye in a triangle design originally was suggested by Pierre Eugene du Simitiere, and later heraldist William Barton improved upon the design. In Du Simitiere's original sketch, two figures stand next to a shield with the all-seeing pyramid above them. 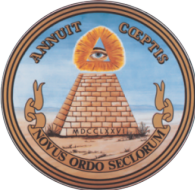 The August 20, 1776 report of the first Great Seal Committee describes the seal as "Crest The Eye of Providence in a radiant Triangle whose Glory extends over the Shield and beyond the Figures." 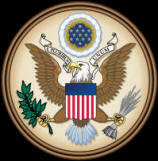 The Great Seal of the United States is used to authenticate certain documents issued by the United States government. The phrase is used both for the physical seal itself (which is kept by the U.S. Secretary of State), and more generally for the design impressed upon it. The Great Seal was publicly first used in 1782. The design on the obverse of the great seal is the national coat of arms of the United States and is officially used on documents such as passports as well as for military insignia, embassy placards, and various flags. As a coat of arms, the design has official colors; the physical Great Seal itself, as affixed to paper, is monochrome. The 1782 resolution adopting the seal describes the image on the reverse as "A pyramid unfinished. In the zenith an eye in a triangle, surrounded by a glory, proper." The pyramid is conventionally shown as consisting of thirteen layers of blocks to refer to the thirteen original states. There are also thirteen sides shown on the ribbon. The adopting resolution provides that it is inscribed on its base with the date MDCCLXXVI (1776) in Roman numerals. Where the top of the pyramid should be, the Eye of Providence watches over it. Two mottos appear: Annuit C?ptis signifies that the Eye of Providence has "approved of (our) undertakings. "Novus Ordo Seclorum, freely taken from Virgil, means "a new order of the ages". It is incorrectly rendered as "New World Order" by some theorists, and "a new secular order" by others. The word seclorum does not mean "secular", as one might assume, but is the genitive (possessive) plural form of the word saeculum, meaning (in this context) generation, century, or age. Saeculum did come to mean "age, world" in late, Christian, Latin, and "secular" is derived from it, through secularis. However, the adjective "secularis," meaning "worldly," is not equivalent to the nominative plural possessive "seclorum," meaning "of the ages.". The reverse has never been cut (as a seal) but appears, for example, on the back of the one-dollar bill.